Martin is Head of Research Products within Drewry and is a director of Drewry Group. He has more than 30 years’ strategic and operational experience in shipping and supply chain management. Martin has followed a wide and varied career in international logistics and maritime intensive supply chains. With an initial background in logistics operations with DHL and London-based department store group Harrods, he broadened into managerial roles in sales and marketing with German forwarding and logistics group DB Schenker, gaining particular exposure to Europe, Middle East and Africa markets. Immediately prior to joining Drewry he spent several years analysing the container shipping needs of shippers and logistics service providers for London-based journal Containerisation International. When he joined Drewry in 2011, he took responsibility for development of its freight rate benchmarking services and other supply chain related activities. 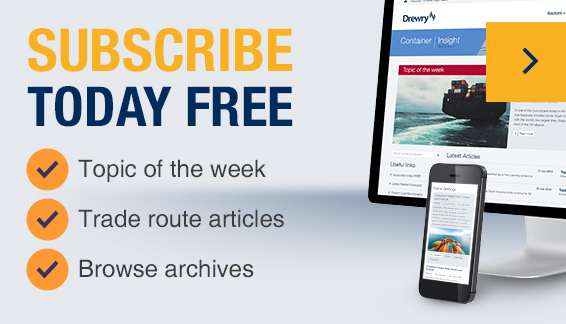 During this time he expanded the scale and scope of Drewry’s spot freight rate benchmarking and launched the highly acclaimed Benchmarking Club. Martin was promoted to the Board of Drewry in 2013 and is responsible for the company’s publishing interests of market reports and research products, as well as group-wide marketing and sales. He is also a regular contributor of research content covering freight rate benchmarking and airfreight markets. Martin holds a degree in Business Studies from Kingston University.